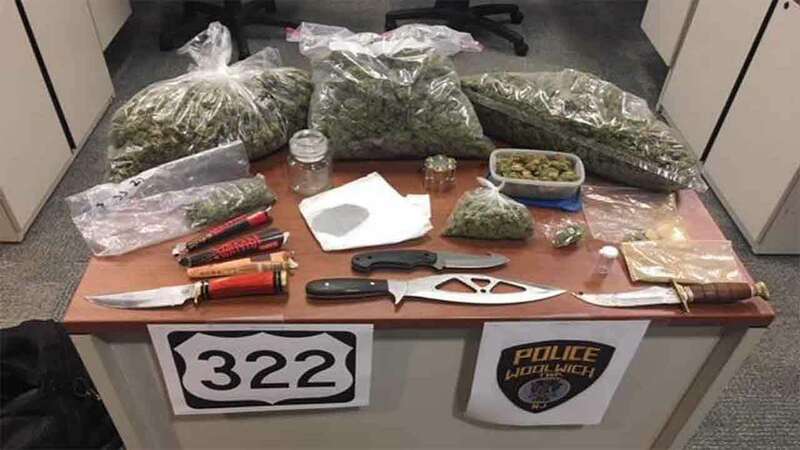 WOOLWICH TWP., N.J. (WPVI) -- An early morning traffic stop led to drug bust near entrance to the New Jersey Turnpike in Woolwich Township, N.J.
Police say an officer stopped a vehicle on Route 322 near the Turnpike entrance. The officer saw evidence of drugs. A K-9 unit was called in, and after a sweep of the vehicle officers seized several pounds of marijuana, drug paraphernalia and weapons. The driver was taken into custody and now faces a list of charges.